Session 87 was an interesting topic. 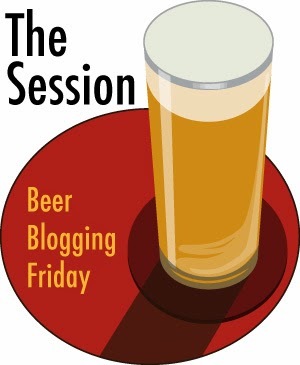 Admittedly, I picked it more as an excuse to do it myself but also to try and get beer bloggers who tend to only write about modern craft beer to try writing about something else. I wasn't really looking for craft breweries, or breweries that even still exist which is why I asked that the brewery be at least 20 years old. Some people ignored that request, others took a different angle but everyone involved wrote some very interesting pieces. We had 16 participants from 6 countries and three continents as far as I can tell. Here is a brief summary of what was said. Apologies if I missed anyone. In Cork, Sara reminds us that the Guinness isn't just about the beer, or the history of the brewery as such. It's about the people who worked there for the last quarter millennia. While Guinness certainly fits the criteria, and is certainly full of interesting history, I'm surprised a local cork brewery wasn't chosen as the subject. Heading way down to Brisbane, Australia now. Liam provides some drunken speculation on the Bulimba Brewery. He provides a very well researched article tracking not just the Bulimba brewery itself, but also what happened to the brand after the brewery itself ceased operations. It's an excellent read with plenty of pictures to that gives you real sense of what was going on. Staying down under, Glenn breaks all the rules and proves his Australian heritage (kidding). He talks about a brewery in Wollongong called five islands which is today known as the Illawarra Brewing Company. I have decided to forgive him for picking such a young brewery because I quite liked their Rust Red. Back home to Dublin and TheBeerNut ignores the obvious brewery to talk about the one on the other side of the street. The Phoenix Brewery seems to have been the second largest brewery in its day, almost rivalling Guinness itself. The interesting thing is that while Guinness gets a lot of stick for swallowing up smaller breweries, Phoenix did this itself before being absorbed by another. Eventually Guinness bought up everything but they didn't start the trend. To Belgium now, Irish ex-pat Breandán talks about the Roman Brewery which has roots going back to the 16th century. They actually brew Gentse Strop, a beer I tried on a recent trip to Ghent and wasn't all that impressed with. Too sweet for my personal tastes. In New Jersey, Neil takes his PBR very seriously in a fanatical way that I have seen before, even from craft beer drinkers in Denver. I myself have enjoyed some PBR in my time. Granted, it took climbing a mountain in the Rockies to work up a raging thirst and not wanting to waste a Titan IPA to quench that thirst. From the east coast US to the west now and Derrick from northern California starts by scolding me for my arbitrary 20 year or older request but acknowledges my attempt to steer people out of their craft beer comfort zones. Derrick believes there are very few options open to him in California. He decided to ignore obvious historical breweries like Anchor or Acme and even Sierra Nevada. Instead he talks about the Hermitage Brewery which was founded by the Tied House brewery which just about meets the 20 year request. Back east to Maryland now where Oliver, who shares my last name, attempted to find an existing brewery that's over 20 years old. He hadn't realised I was looking for any brewery, not just an existing one. In fact, the one's that are gone might make more interesting stories. With Friday looming, he double checked the announcement and discovered his his error. Too late to do anything about it, he instead comes up with a very interesting question. Just how old is brewing in the US? To that end, he has been inspired to do a spreadsheet with states, brewery names and year they opened. He needs help from fellow bloggers to help fill in the data so please pop along to his blog and help him compile the list. An interesting turn of events. Meanwhile, back in California, Andy ferrets out that even a city like Los Angeles has some very interesting historical brewery sites. They might not exist any more but the legacy still exists. He completely took the exercise to heart and researched a brewery site with roots going back to the late 19th century. Moving back north to the Bay Area, Session virgin; Dean pops his cherry and then interprets the request in a very interesting and original way. He concentrates on a date rather than specific brewery. On April 9, 1909, a local newspaper ran a feature showing how after the devastation of the earthquake a few years earlier, San Francisco was a city proud of its 23 breweries. He goes on to talk about some of them in a well researched piece. To the mid-west now and Ann Arbor, Michigan, My wife's home state. Dave picks the Michigan Union Brewery and tracks its history. Dave invites us to get hold of his book for more info. In Oregon, Jon talks about the Oregon Trail Brewery which at nearly 30 years old, meets the criteria I was looking for. Moving up to Ontario, Alan decided to provide a snippet of his upcoming book. It's about the Peller Brewing Company and suggests we keep an eye out for his book. Back to Europe and to south-west England. Boak and Bailey discover that local brewery, St Austell, once absorbed a nearby brewery called Ellis and decided to find out a little but about it. There seems to be little trace of today unfortunately. To the north now, we move to Burton upon Trent and through beer tinted spectacles we learn about the world's first trademark. The red triangle of the Bass brewery, once the largest brewery in the world. He recalls working there for 20 years with nostalgia and dare I say it, tears in his eyes. He also imparts his anger at seeing a beloved brand essentially destroyed. And that's all, I hope everyone involved found it a rewarding experience, I know that I did. Thanks for participating and thanks for reading. Please visit all of the other 15 articles if you have the time. They make for interesting reading. If I missed anyone, please leave a comment with the URL and I will add you. "Derrick believes there are very few options open to him in California." This is not what I wrote at all. I don't think you read my post particularly carefully and are making an incorrect assumption. "He decided to ignore obvious historical breweries like Anchor or Acme and even Sierra Nevada". Sorry Derrick, I wondered if you might take my meaning wrong. No offence was meant. I meant what I said in a sort of tongue in cheek response. I very much enjoyed and appreciated your article and they workaround you used. I'm married to an American and she often gets upset with my dry sense of humour as well as the bad pun like stuff that she rolls her eyes at. You are right on the broadness of local, that was simply to allow someone a long distance from a brewery to be involved. No worries Reuben....electronic communication has its limitations and Lord know I've been in your position....many times! By the way, now that I think about it, there's a brewery called Ruhstahler that brews their beer at Hermitage under contract. Ruhstahler is named after a defunct brewery from the late 1800's in the Sacramento area. I could've used that angle for this Session as well. Thanks for hosting and cheers! I suppose I could have written about Murphy's, but their archival collection is held at UCC, and there is not much on their website, so I don't feel they have really embraced the history as much as Guinness. Maybe something they should work on! Could stir up some Cork pride if they did something similar. Beamish might have been interesting. At one point they were bigger than Guinness according to something I read. I think it was the canals that allowed guinness to dominate. Great roundup Reuben and great articles. I didn't get through all of them yet but the ones I did were great reads!